Woking Golf Club: The course is open for play with no restrictions 20/04/2019. 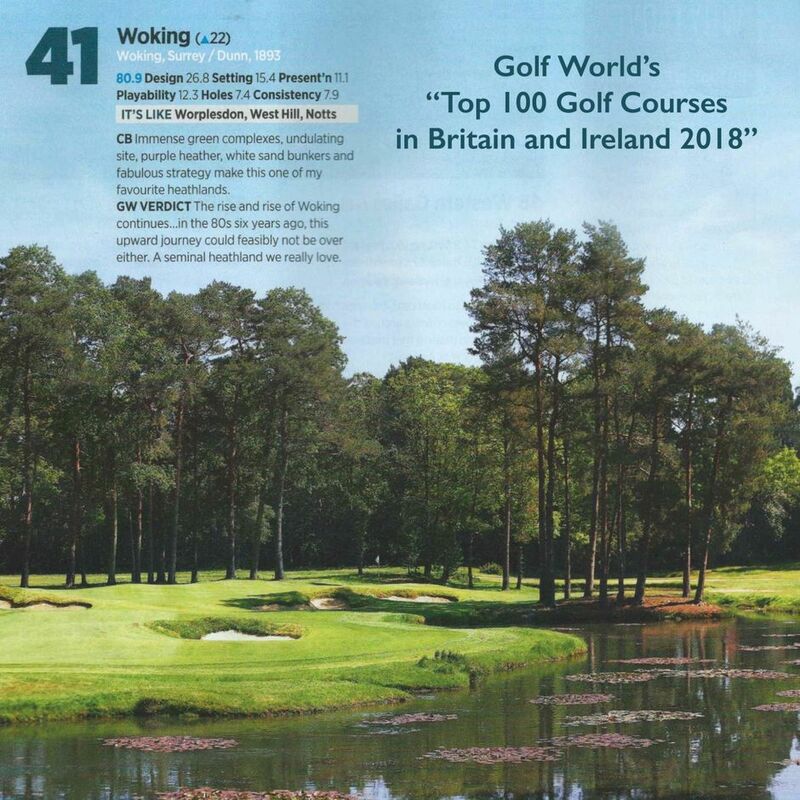 In the latest Golf World Top 100 rankings, Woking jumps a further three places, now ranked 17th in England! 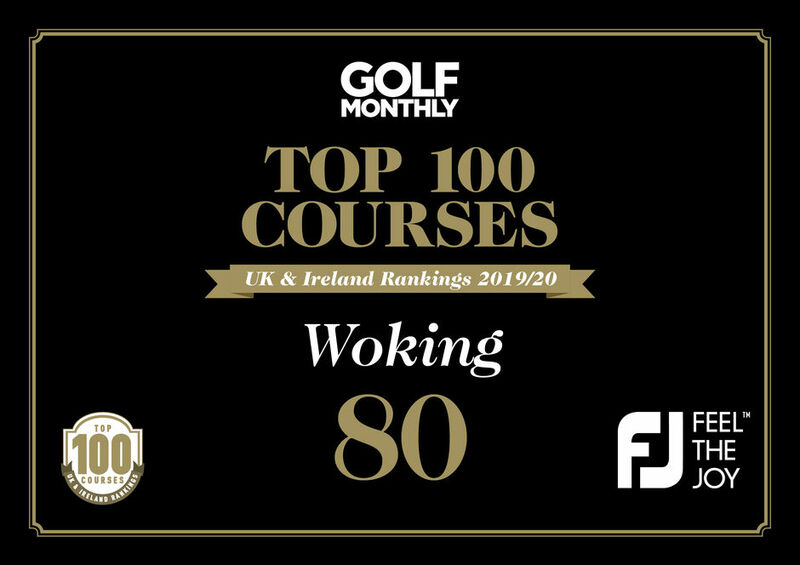 Despite a glorious 125 year history, Woking still flies very much under the radar, despite being the oldest of the Surrey/Berkshire heathland courses, and a Club and course with great competitive and architectural pedigree. 125 holes in a day to celebrate Woking's anniversary! ,widthSince 1893, we have been the jewel of Surrey heathland golf; the county’s oldest heathland course, the home of the first of the ‘3 Ws’ and consistently in the UK’s top 100 courses. 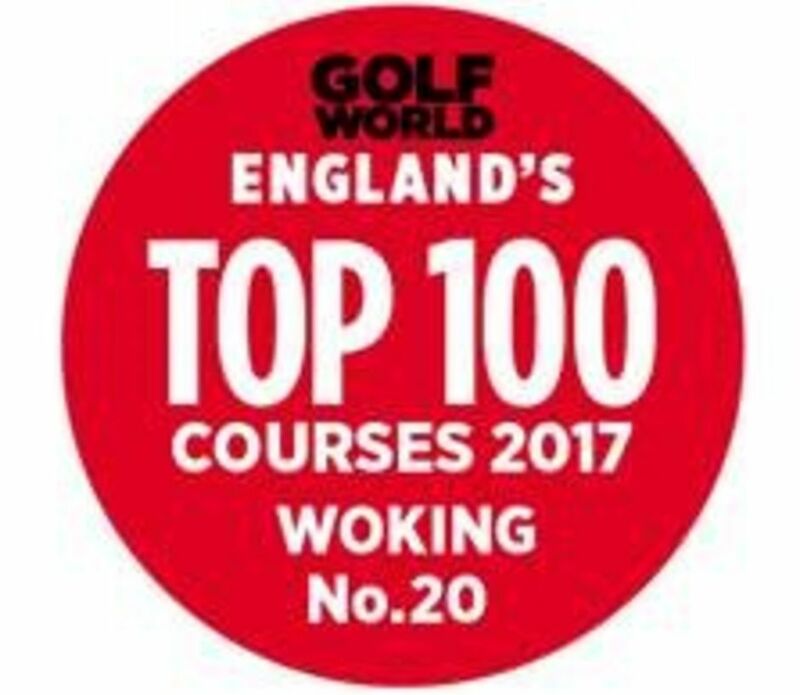 In the latest Golf World Top 100 rankings Woking has risen a further 3 places to 17th in England! Click here to see the Club's brochure. The course is a visual feast that is hard to beat, but it’s as strategically and tactically as challenging as it is beautiful. From the first, which Tom Watson described as ‘a warm handshake from an old friend’ to the 18th a great, finishing match play hole, there is something for every aficionado and the ‘rankings’ show just how well regarded it is - by greats and amateurs alike. New members, visitors and societies can be sure of a warm welcome.